DeSantis and her colleagues compared the dental microwear patterns of injured versus uninjured cats, thanks to a large pathology collection available at the La Brea Tar Pits and Museum in Los Angeles, California. Many of the fossils show signs of prolonged infection and bone growth associated with healing — signs that the animals survived after what would have been fatal injuries if not part of a social group. 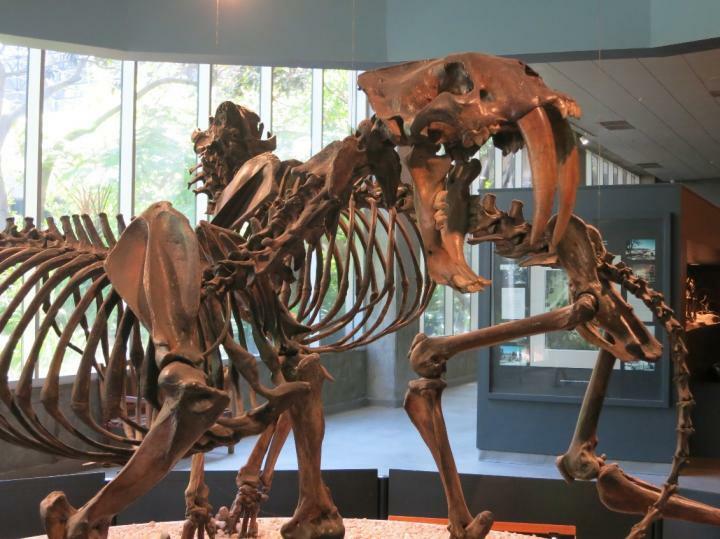 "Sabertooth cats with toothaches: Impacts of dental injuries on feeding behavior in late Pleistocene smilodon fatalis (mammalia, felidae) from Rancho La Brea (Los Angeles, California)"